So-called social revolutions are unsettling the established political order in many different pockets of the world. We watch a wave of change, where a seemingly unhindered expansion of trade in new technologies and commodities connects with a new range of social relations. Self-organisation, social networks, transnationalism are all buzzwords that circulate these transformations, but in what ways exactly do our own everyday realities forge links with these sites of multiple trans-action? And, in the spirit of Open Systems, what other models of socio-political organisation might these experiences of transversal movements inspire us to? Gulsen Bal, director of Open Space, Open Systems will discuss these and related questions in conversation with Peter Mörtenböck and Helge Mooshammer, researchers at the Institute of Art and Design, TU Vienna, to celebrate the joint launch of Netzwerk Kultur: Die Kunst der Verbindung in einer globalisierten Welt, the most recent publication of their ‘Networked Cultures’ project, and of the online atlas Informal Market Worlds, marking the beginning of their new project ‘Other Markets’. 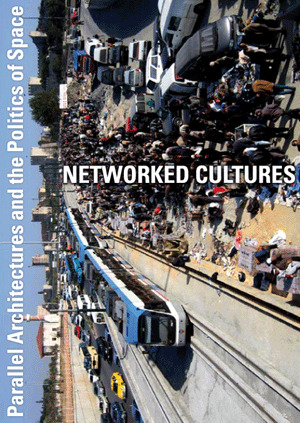 ‘Networked Cultures’ was initiated at Goldsmiths College, London in 2005 and investigates contemporary cultural transformations through examining the potentials and effects of networked practices. Collaborating with art, architectural and urban practices across Europe and beyond it explores platforms of agency in which cultural relations have become key in negotiating a multi-inhabitation of territories and narratives across institutional, social or geographic boundaries. ‘Other Markets’ expands these explorations into networked ecologies through collaborative fieldwork on informal markets around the world. 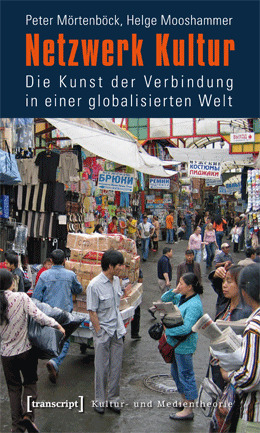 Conceived as a working tool, the atlas ‘Informal Market Worlds’ will comprise multi-level analyses into the ways informal markets yield adaptations to the use of territorial, social and legal resources. It aims to conceptualise the emerging paradigm of ‘trans-urbanisation’ – how a transnational transfer of politics, values and ideas into the realm of urban action provokes new forms of latitudinal civic engagement.